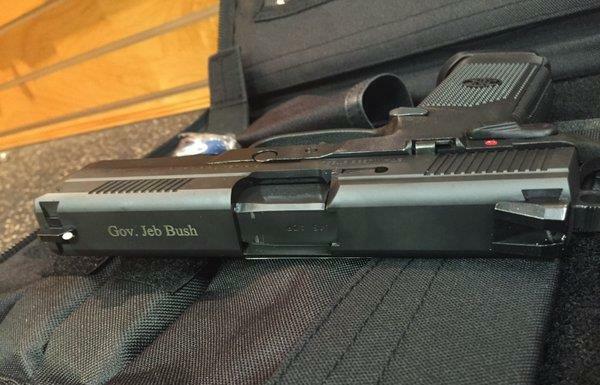 When former Florida Governor Jeb Bush tried to connect with voters by tweeting an image of a gun inscribed with his name and the caption "America." on Tuesday, he saw firsthand what happens when a tweet goes viral for the wrong reasons. Many Twitter users didn’t buy into the seemingly pro-gun tweet. Users including athletes and celebrities weighed in, some with Star Wars and other pop culture references of their own. Here’s what five journalists had to say. I might have been a little impressed if the gun had been engraved "Pres. Jeb Bush." The Daily News of New York was one of the media outlets that lampooned the tweet.